Graveside services for Mr. Eddie Will Josey of Americus, Georgia will be held on Friday, October 3, 2014 at 1:00 P.M. at the Eastview Cemetery on Ashby Street in Americus, Georgia with Elder Hilton Payne officiating. Mr. Eddie W. Josey was born on September 8, 1949 in Sumter County, Georgia to the late Mrs. Fannie Mae Smith Josey and the late Mr. Eddie Lee Josey. He attended the schools in the Americus-Sumter County School System. He was employed for many years with Leroy Miles Heating & Repair Company and was also self-employed as a repairman. Eddie Will departed this life on Monday, September 29, 2014 at the Lillian Carter Nursing Home in Plains, Georgia. He was proceeded in death by two sisters: Javanita Brown and Sandra J. Williams; two brothers: Wilbur G. Josey and Clarence Josey. Left to cherish his memory are two children: Dorothy Mable & Johnathan Harvey; four sisters; Lena Josey, Mary (James) Russell, Carmen (William) Clark and Lorena (Friend Lonnie Payne) Josey; two brothers: Jimmy (Doris) Josey and James (Mary K.) Josey all of Americus, Georgia; one aunt, Ida Floyd; one uncle, William Floyd all of Americus, Georgia; one sister-in-law, Jewel Josey also of Americus Georgia; two grandchildren: Dennish Mable and Desmond Waters; A very devoted niece Amy Josey of Albany, Georgia; a host of other loving nieces, nephews, relatives and friend including Donnie Waters, and his special friends and neighbors at McCoy Hill. 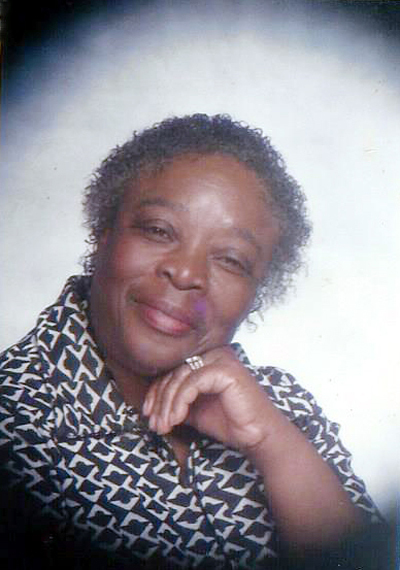 Funeral services for Mrs. Lucille Johnson of Americus, GA will be held on Friday, September 19, 2014 at 12:00 Noon at the Friendship Baptist Church with Bishop Melvin McCluster officiating. Burial will follow at the Eastview Cemetery. Mrs. Johnson died on Thursday, September 11, 2014 at the Magnolia Manor Nursing Home in Americus, GA.
Mrs. Lucille Johnson was born May 6, 1916 in Preston, GA to the parentage of the late Mr. Jim Andrews and the late Mrs. Julia King- Gordon. She was educated in the public school system of Webster County, GA. For thirty-six years she worked for South Georgia Technical College as a dietician. Mrs. Johnson was a member of Friendship Missionary Baptist Church. She was united in holy matrimony to the late Eddie Lee Johnson. Mrs. Lucille was preceded in death by her three children: Willie Westbrook, Jim Westbrook, and C.T Westbrook; two sisters: Miller Black and Alberta Harris. Left to cherish her memory are three stepdaughters: Linda Marshall of Americus GA, Louise Barthell of Americus GA, and Brenda Westbrook- Sedgwick of Alexandria, Virginia; five stepsons: Calvin Westbrook, Otis Westbrook, both of Desoto, GA, Eddie Westbrook, Jr. of Americus, GA and Robert Westbrook of Warner Robins, GA; three daughters in law: Nina Westbrook of Desoto, GA, Lela Westbrook of Cordele, GA, and Annette Westbrook of Americus, GA; three nieces: Angela Paden and husband Oveal Paden, Jr. of Midland, GA, Shirlene Gray of Seat Pleasant, Maryland and Diane Wilson of Atlanta, GA; two nephews: Willie Boyd Harris of Americus, GA, and Derek Black of Duluth, GA; twenty two grandchildren, thirteen great grandchildren, and a host of other relatives and friends also survive. 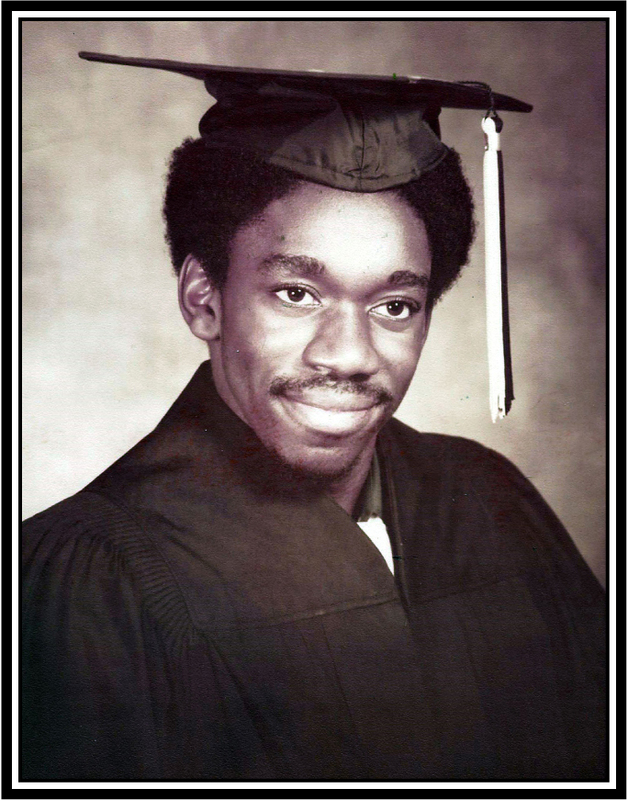 Graveside services for Mr. Carlton Jerome Cooper age 54 of Tacoma, WA will be held on Saturday, September 27, 2014 at 11:00 A.M. at the Leaston Cooper, Sr. Cemetery in Leslie, Georgia with Rev. George F. Monts officiating. Carlton Jerome Cooper “Coop” was born December 30, 1959 in Americus, Georgia to the parentage of Mrs. Minnie Gooden Cooper (Tacoma, WA) and the late Mr. Joe Roney Cooper. He is preceded in death by his grandparents the late Mr. Willie B. Gooden, Sr. the late Mae Bertha Sims Gooden, the late Mr. Leaston S. Cooper, Sr., and the late Mrs. Elenora Westbrooks Cooper. “Coop” was educated in the Pierce County School System (Tacoma, WA), graduating from Lincoln High School in 1977. He furthered his education by attending Grambling State University. While attending Grambling, he received numerous awards and honors for academic achievements and excellence. He graduated with Honors in 1982 and earned a Bachelor’s of Science degree in education. He was employed with the Fife School District for 26 years as an educator and coach. He was a man of pure knowledge and wisdom. If ever there was something that could not be done, his motto for life was to “Make the Impossible Possible”. As an educator and coach, he impacted the lives of his students, parents, and co-workers. Although he is absent from the body, the memories of his determination, humbleness and silent demeanor will live on in the many lives he touched. On Friday, September 05, 2014, God sent forth his angels to claim his son, and just like “Coop” he quietly slipped away home. His legacy of love will continue in the lives of his mother, Mrs. Minnie Cooper, Tacoma, WA; one sister, Reva Wright (Nathaniel), Vera Beach, FL; His aunts and uncles: Eugene Goodin (Jeanette), Americus, GA, Mr. Willie (Millicent) Gooden, Springfield, VA, Mrs. Nadene (John) King, Smithville, GA, Mrs. Vera (Arrie) Arney, Dallas, GA, Mrs. Irene Cooper Rutherford, Americus, GA, Mrs. Barbara Linnear, Mrs. Eartha (Johnny) Robertson, Augusta, GA, Mrs. Rena Cooper, Atlanta, GA, Mrs. Delorn Cooper, Mrs. Carolyn Cooper, Mr. Willie Cooper, Sr., Mr. Eddie Lee (Effie) Cooper, Leslie, GA, Mr. Tony (Amanda) Cooper, Americus, GA, Mr. Royzelle (Shirley) Cooper, Vienna, GA, Mr. Thomas (Angellete) Cooper, Fayetteville, NC, Mr. Reubin (Vivian) Cooper, Miami, FL Devoted Cousins: Mr. Johnny Terry, Jr., Corning, New York, Mrs. Veronica (Quan) Arline, Americus, GA, Mrs. Stephanie (Moises) Pulido, Springfield, VA, Mr. Wayne Gooden, Ms. Sonya Gooden all of Springfield, VA, Ms. Theresa Goodin and Ms. Vonda Goodin, Smithville, GA, Mrs. Nettie (Kenny) Hall, and Mr. Eddie (Gwen) Wright, Americus, GA and a host of other relatives also survive. In addition, he leaves his legacy of love, inspiration, commitment and determination to his loving, warm, affectionate and caring adoptive family of Fife: Mr. Jeff Nelson, Mr. Kirk Dodge, Mr. & Mrs. Ray (Lois) Vankat, Mr. Joe Storholt, Ms. Carol Bradley, Mr. Mark Robinson, Mr. Dave Hockman, Ms. Sue Waters, Mr. Kent Nevin, and the multitude of students whose lives he impacted.